Popularly known for his acclaimed his contribution to Yung6ix's smash hit single 'First Class', Percy (real name Percy Akivie) is a talented vocalist and song writer who hails from Urban Delta state. Percy embraced entertainment at a young age and has been into different forms of the art since his early years. Now solely into making music and performing; Percy who was once a dancer has always had a flare for entertaining on stage but his career as a musician began to kick off when he started doing vocal back-ups and choruses for notable artistes in and outside the Southern region of Nigeria and later he then went on to writing and creating his own music. Solely based on his vocal dexterity and style, he inked a deal with Kash Kamp Trick Billionaire Music (KKTBM) and he is currently working on his yet to be titled E.P. 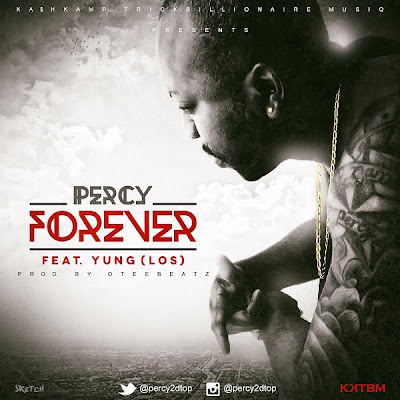 Percy is releasing a stellar R&B rap-sung collaboration with the vibrant Yung (of L.O.S) titled 'Forever' produced by Otee Beatz accompanied with a Shyne Wayne assisted B-side 'One More'. Listen, enjoy and share these brilliant tracks!